Police in Durham said incident could be an apparent drive-by or celebratory gunfire New Year's Eve. 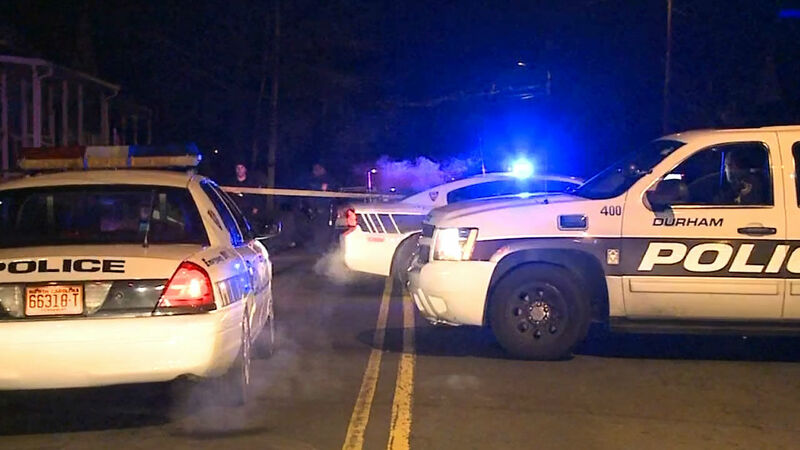 DURHAM (WTVD) -- Three people are recovering after a New Year's Eve shooting in Durham that has left police investigating whether it was a drive-by or celebratory gunfire. It happened just after 10 p.m. in the 1100 block of Linwood Avenue. Vincent Sowell lives at the home where a spray of bullets hit his car and the shutters on his house Wednesday night. He told ABC11 he was hosting a New Year's Eve party for his teenage daughter and some of her friends. "Keep them safe and have a good time at their father's house," Sowell explained, adding that it was going well until he heard gunfire from a moving vehicle outside. Sowell said a passerby and two of his relatives were hit. One man was grazed by a bullet and another was undergoing surgery for a leg wound. "What is going on in this town," asked Sowell, pointing at the bullet holes. "Every day, every night somebody is getting shot and grazed or killed in Durham. It don't make no sense. We don't bother nobody over here. We have a peaceful neighborhood." The Durham Crime Mapper shows there have been no gun related incidents in the 1100 block of Linwood Avenue in the past year. Investigators said it's unclear whether the shooter was targeting someone or whether it was a random drive-by shooting - one of several in recent weeks involving pedestrians. Either way, it was not how Sowell and his family wanted to bring in the New Year. "We don't bother nobody. We even do a neighborhood clean-up," said Sowell.